This image shows the I.C. 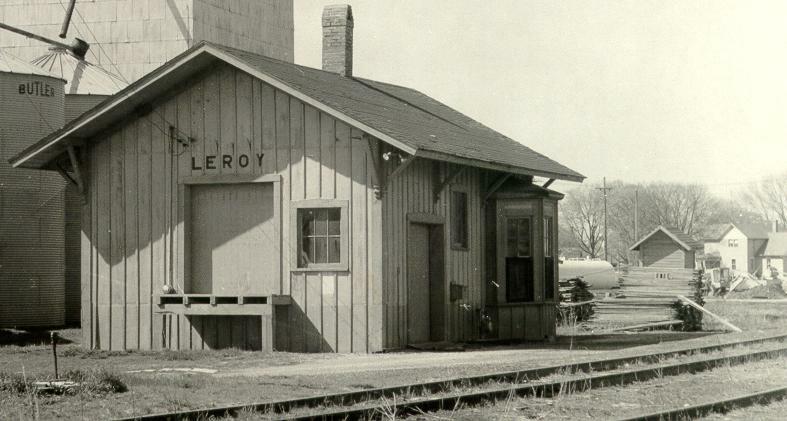 (Illinois Central)Railroad depot in Leroy Illinois.Image dates about 1960-1965(? ).My Grandfather and father both worked for and retired from the Illinois Central Railroad.